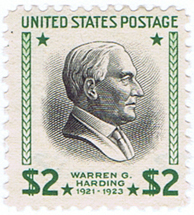 The Committee remains active with about 120 collectors interested in the stamps and postal history of the “Prexie Era” (1938 through the late-1950’s), including not only the 1938 Presidential Series (commonly known as the “Prexies”), but the Transport Airmails, the Famous Americans Series, as well as other stamps issued during this time period. The Presidential Era Committee publishes a newsletter The Prexie Era, edited by Louis Fiset, featuring original articles written by Committee members. The newsletter is distributed quarterly to members by snail mail or electronic mail. The latest issue, Number 69, features articles on “Air Mail to Pitcairn”, “Circuitous Routing to South Africa During WWII”, and “A History of the USS Phoenix.” A compilation disk featuring past issues of the Newsletter is available for purchase in CD format. In addition committee members act as consultants to the editors of the Scott Catalog to help value Prexie postal history. Committee members acted as consultants to the editors of the Scott Catalog to help value Prexie postal history. The Committee also supports a website which can be found at http://prexie-era.org/ offering an overview of the stamps and postal history of the Prexie Era. Committee member Bob Hohertz also manages a personal website emphasizing solo usages of the 1938 Presidential Definitives. Committee members continue to win awards by exhibiting their material at regional and national stamp shows. The Committee held its first independent national meeting at ARIPEX 2015, where over half of the exhibits entered were by members of the Committee The Committee will continue its tradition of meeting in conjunction with the United States Stamp Society’s Annual Convention, next scheduled for NY 2016 next May.